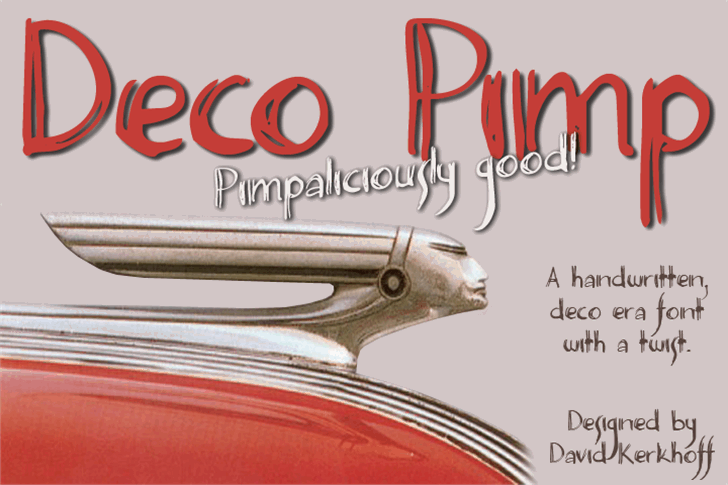 This is the demo, bare bones, version of Deco Pimp. It is free for PERSONAL USE only. If you are going to use it commercially, please buy the full version - visit my site www.hanodedfonts.com for instructions or read the FAQ file. You CANNOT use this font in games, apps, or software. If you want a license for that, visit my site www.hanodedfonts.com for instructions. Do read the FAQ file inside the font zip!